Trash talk and the ability to get in the opponent’s head is an art form that has diminished over recent years. Getting on a player’s nerves vocally or physically can completely throw off their game and keep them preoccupied with the obnoxious prattle rather than the game that’s on the line. 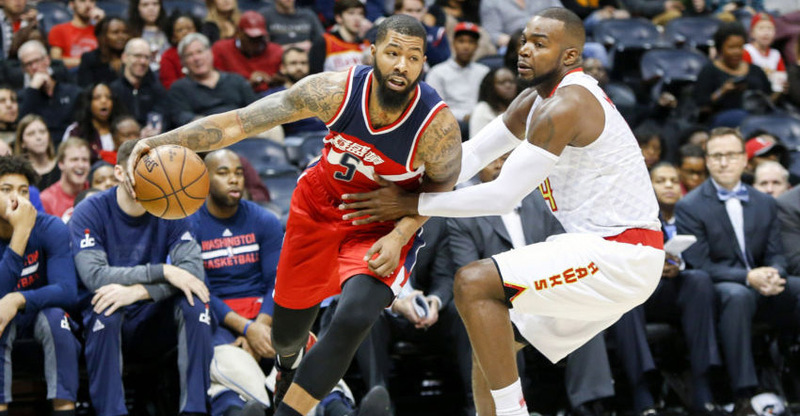 Washington Wizards forward Markieff Morris played with extreme grit and determination in Game 1 of the Eastern Conference playoffs series against Atlanta. Morris and Atlanta Hawks all-star Paul Millsap simply do not like one another, and it showed. Prior to Game 1, Morris called Millsap “soft” and it obviously carried over into the intense first game. The two power forwards went back-and-forth, trash talking the entire way. During a scuffle to corral a loose ball, Morris forearmed Millsap in the face and somehow got away with a nocall. Then, a free-throw line exchange almost turned into a brawl on the court. Millsap: "He's on the line!" Morris used his sneaky tricks as a way to energize his performance—21 points, seven rebounds, and four blocks propelled Washington over Atlanta, 114-107. For Paul Millsap, he scored 19 points in the losing effort.